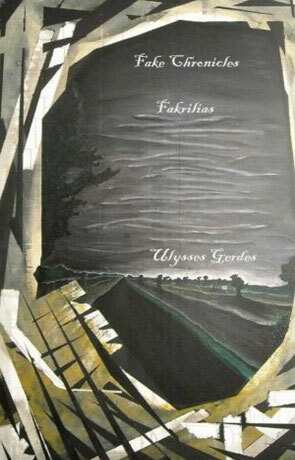 Fake Chronicles: Fakrilias is a young adult fantasy novel and the first in a series by Ulysses Gerdes. Around every corner, behind every person, underneath every stone, lies a dark past in Zeibesia. War, greed, and murder are but few of the troubles many have faced. In Fake World, the worst dwell, the worst fight, the worst kill. Over power, love, or just plain desire for what they do not hold. The Fakrilias, the underground resistance to the largest, darkest secret held by the most insane and bloodthirsty warlord of all time, hold the secret of a boy, cast away by death and misfortune, suicide and murder, thrown into a world not his own. But he must keep fighting, no matter where he is and who is by his side. Sombar Graygang must keep fighting. For on Zeibesia, once you stop fighting, you die. Fake Chronicles: Fakrilias is a alternative reality novel in which the protagonist finds a world where magic is real. Sombar Graygang is the principle protagonist, an orphan who's destiny lies in Fake world (the alternative universe). Aimed squarely at the young adult market, the novel is written in a simple and friendly style that should directly appeal to the younger reader. The story itself uses a number of standard fantasy tropes and lends heavily from the fantasy classics, however these ideas are mashed up into different and slightly confusing tale. There are a number of original elements but the overall feeling is that this has been done before, a lingering sense of deja vue clouds the experience. It should be applauded that someone of such a young age has managed to publish a novel but the lack of age and experience is quite telling, and more so in the quality of the prose. Any distinct voice of the author is completely lost amid the lack of a professional editor. The style of writing is as mentioned above somewhat simplistic, and while this can be sometimes a benefit to create an uncluttered story it doesn't work very well if your trying to create something epic and it doesn't really work here. Don't get me wrong there are some great ideas here and these do prevent the novel from being unreadable, however they also don't turn it into being a really good book. The characters are very much 2 dimensional, we are repeatedly told how wonderful they are but we never get to find out about who they really are and as a result it becomes impossible for the reader to bond themselves to them. The result is a distinct lack of empathy and engagement with the story, at no point did I care enough about the characters to worry about what happened to them. I'd love to be able to say I really enjoyed this novel, but i'd be trying to describe the novel I wanted to read, and that wouldn't be fair. Ultimately Fake Chronicles: Fakrilias is a achievement, for a 14 year old just to create a novel that is actually better than many other self published books out there should be applauded and I will watch with interest as Ulysses Gerdes skills continue to develop (as I am sure they will should he continue to write). As a writing exercise it's great, it's just not a finished novel and until then this isn't really a book I could recommend. Written on 4th January 2011 by Ant.